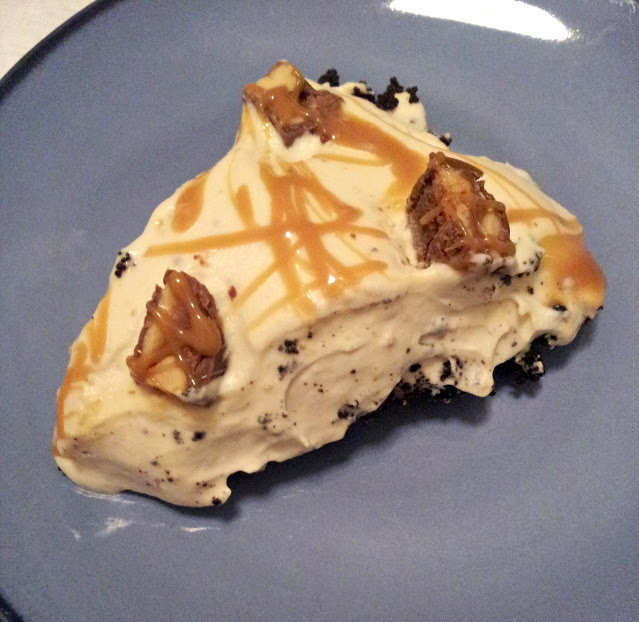 This pie is dangerous! Make sure you have lots of people around to share it with, or you’ll be sorry 😉 I surprised my husband with this decadent dessert for Valentine’s Day and I’m so glad he loved it (I knew he would). Next time I will use less whipped cream, but other than that small change I would make it as is. Thanks for reading, enjoy! For the filling: In the bowl of a food processor, blend together the condensed milk, cream cheese, one of the Snickers and dulce de leche until completely smooth. 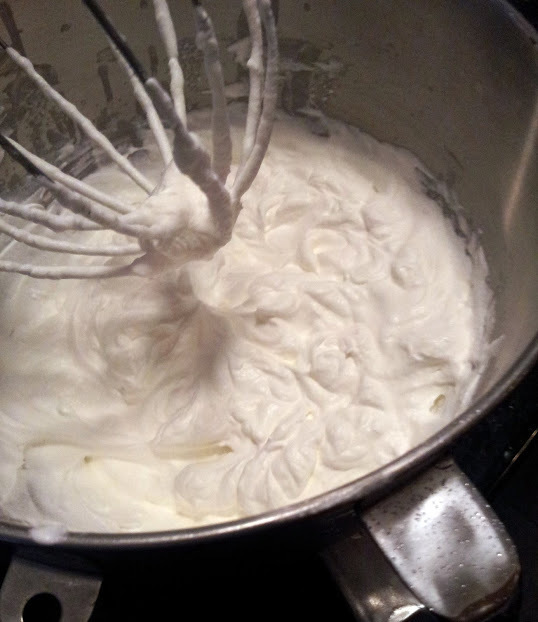 Fold in the whipped cream until just incorporated. Scatter 1/3 of the Snickers Bars on the bottom of the pie crust. Spread the filling into the pie crust. 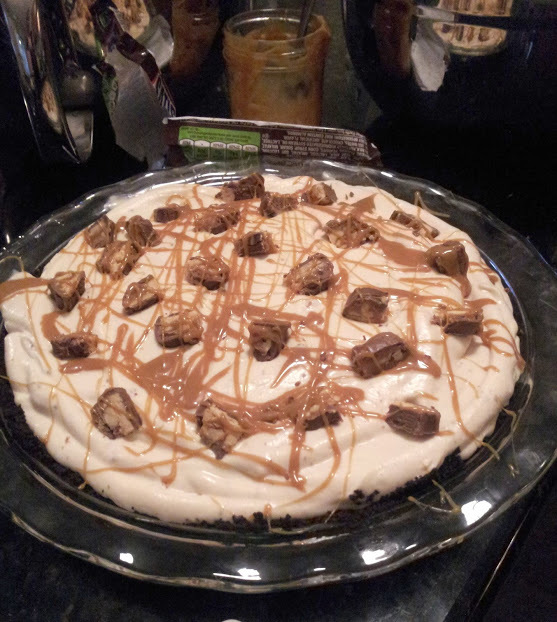 Finally, drizzle the top with the remaining dulce de leche and scatter the remaining 1/3 of Snickers pieces on top. Chill the pie for at least 3 hours before slicing and serving.